Last weekend I finished the piecing of my quilt. Also trimmed all threads, straightened the outer edges and added a stay-stitching around the entire edge of the quilt to keep the edges of the pieced border from pulling apart. My daughter wanted something fluffy and warm so I decided to use a comforter as a batting and omit the use of any backing since the comforter is finished already. 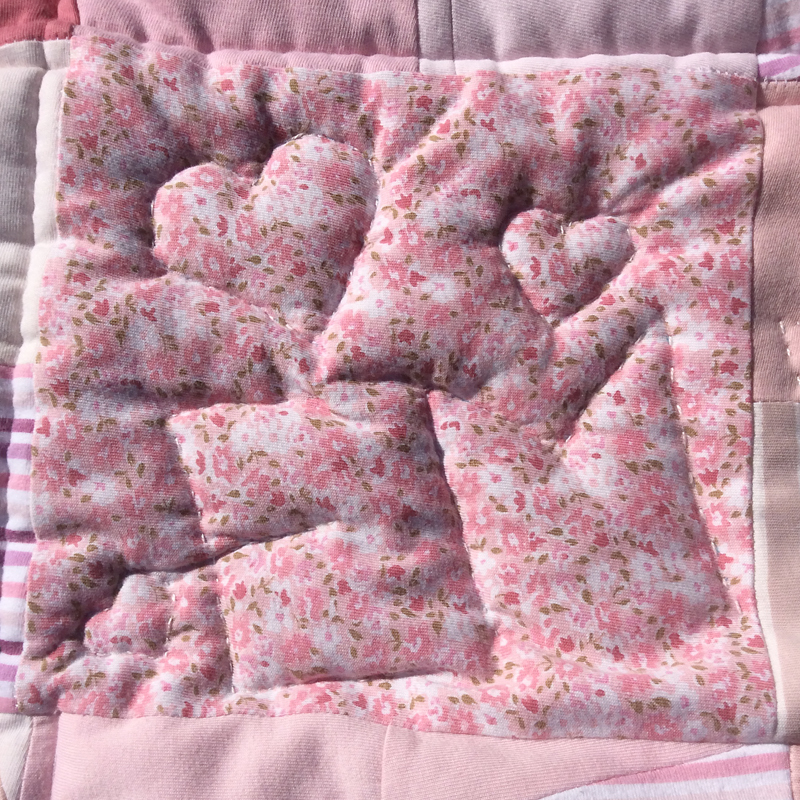 The quilting is not completely finished, but the quilt can be used. 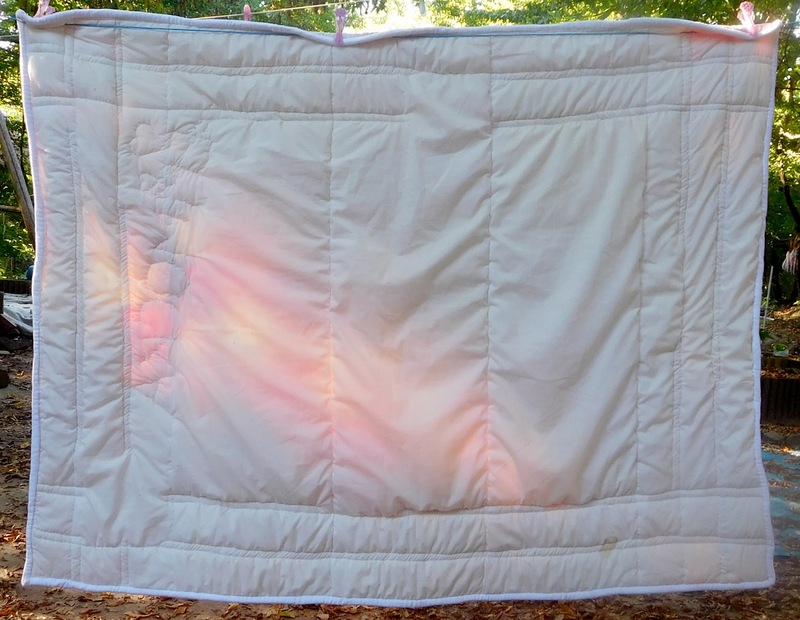 The horizontal lines seen in the photo below are coming from the original comforter. 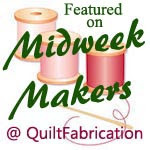 You can find the first part of this post here: Memory Quilt Part 1 and the second part here: Memory Quilt Part 2. Love the personal touch. very sweet. 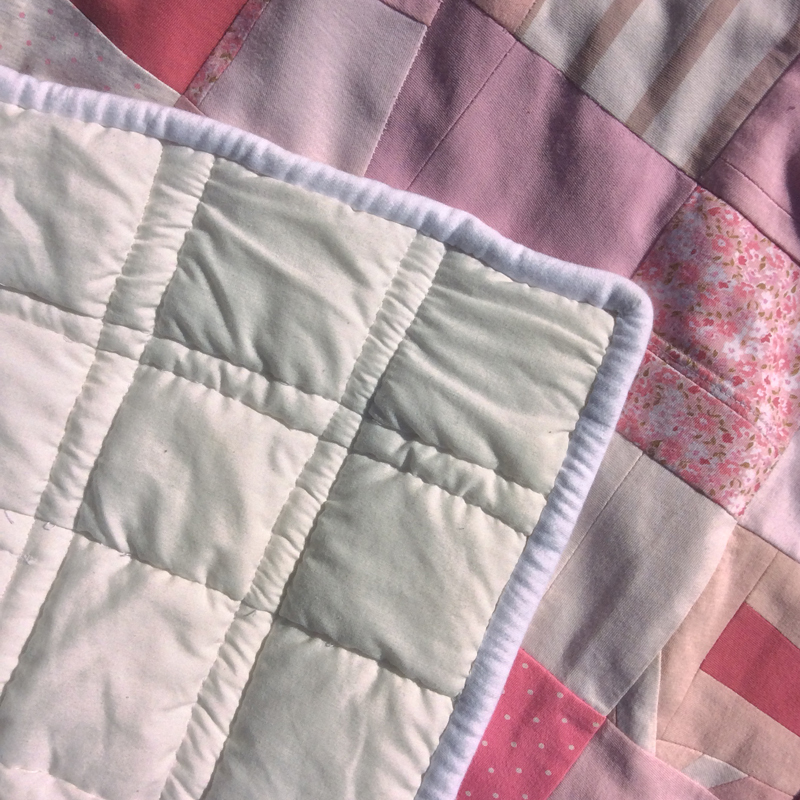 Enjoy the hand quilting on your daughter's special quilt! 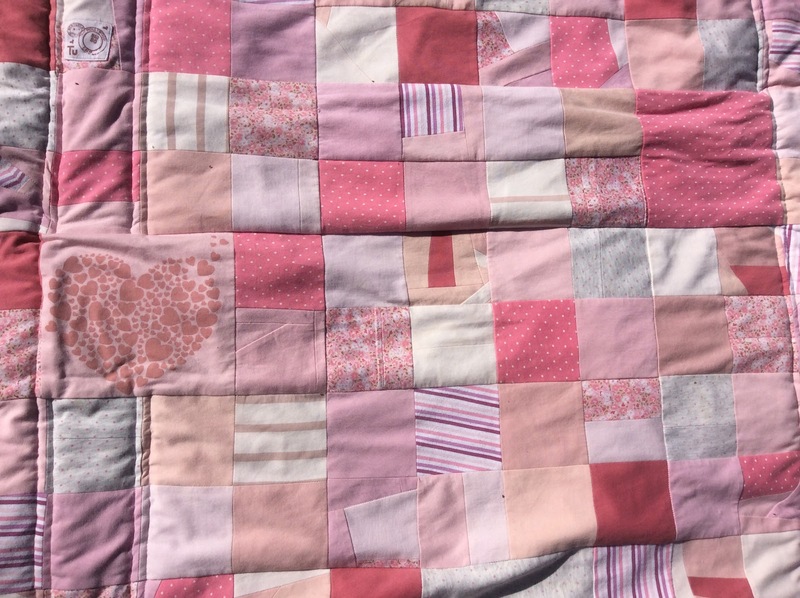 What a sweet quilt for your daughter. 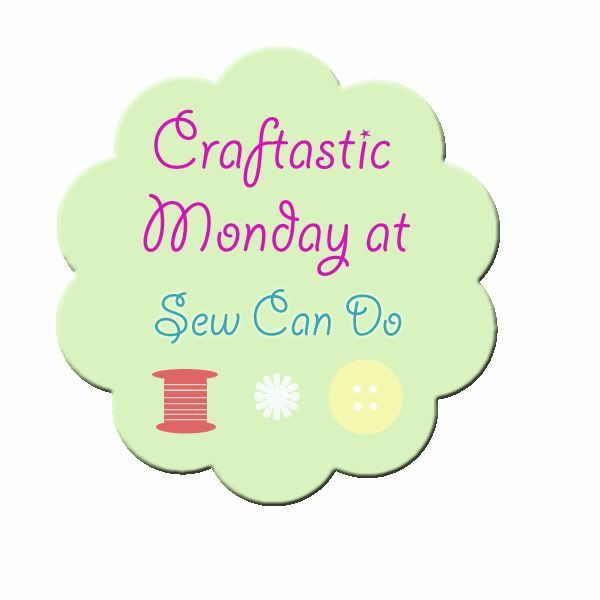 I often use fleece for backing, no batting needed. Very cozy. Good going. Hand quilting your daughter's nicknames is the perfect finishing touch. Isn't it great when you make something and the recipient loves it. It turned out great. Isn't it an awesome feeling to have it completed? Thanks for sharing with SYC. What a gorgeous project. 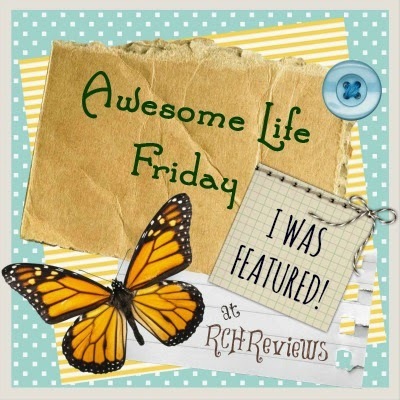 Thank you so much for sharing at Thriving on Thursdays. It's a very pretty quilt; I love the colors. Great quilt, love the gorgeous color. Thanks for sharing at the DI & DI Link Party. That is such a sweet quilt and a great idea, the way you made it. 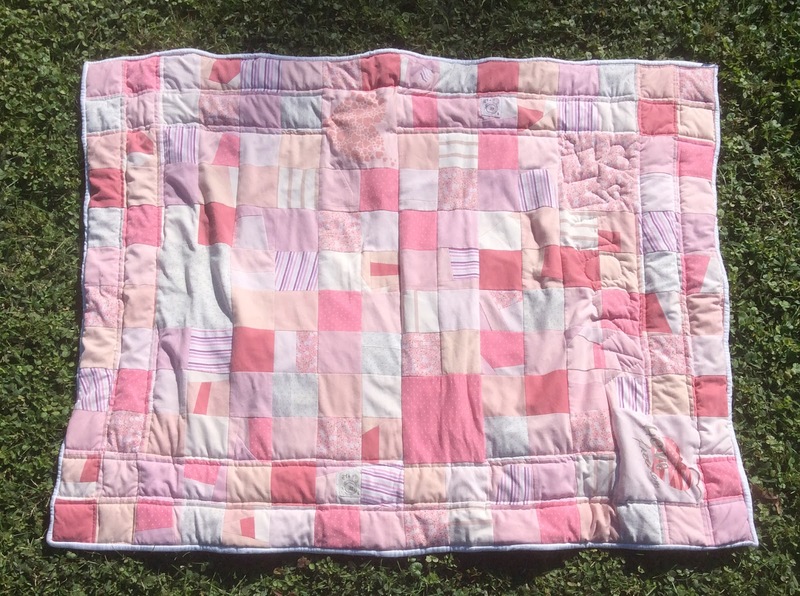 It will be a quilt your daughter can use for a long time! Wonderful little quilt. Clever to use the comforter. 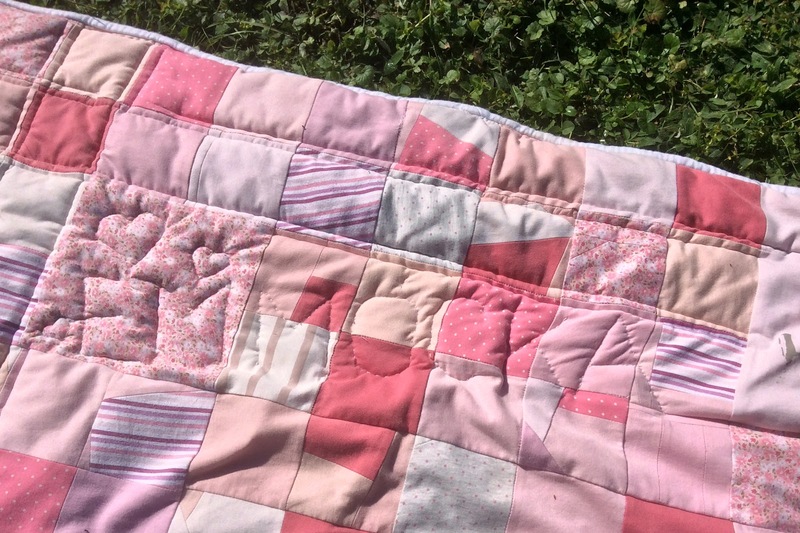 Love your charming little pink quilt. 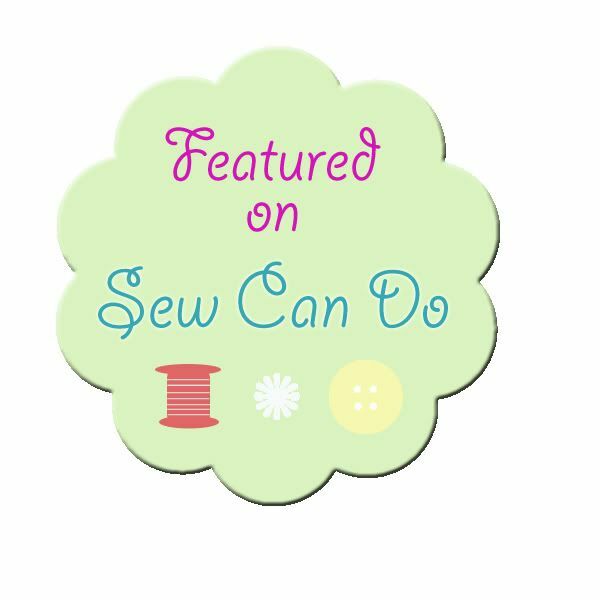 Thank you for sharing at the Snickerdoodle Create~Bake~Make link party. Sweet cuddly quilt. Like the extra touches you are adding. Thanks for linking to WIPs Be Gone. Absolutely beautiful, I especially love how you are hand quilting those extra details. 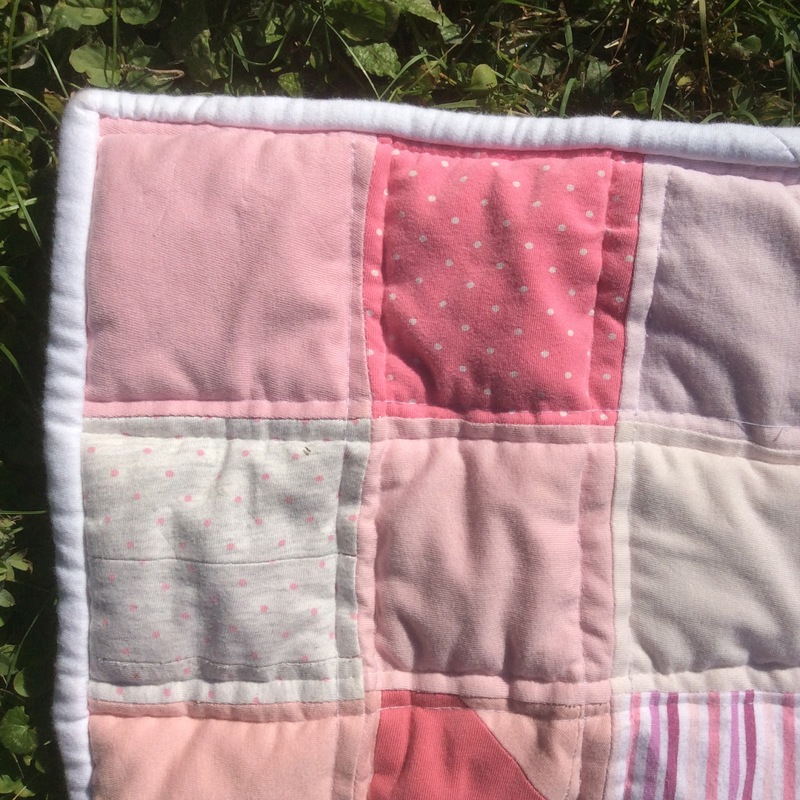 It's also nice to see you don't need a special sewing machine to make something beautiful - very inspiring thank you! 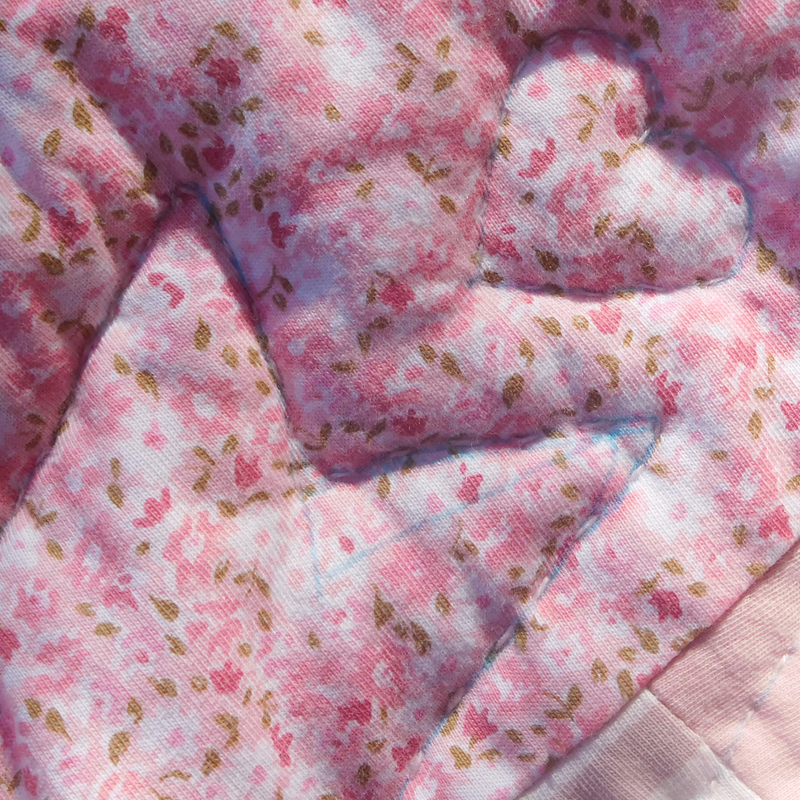 This quilt looks so soft and cuddly - makes me want one to snuggle in! :) I love that you are adding the extra hand quilting of her nicknames. That will be such a special touch! Thanks for sharing on MCM. 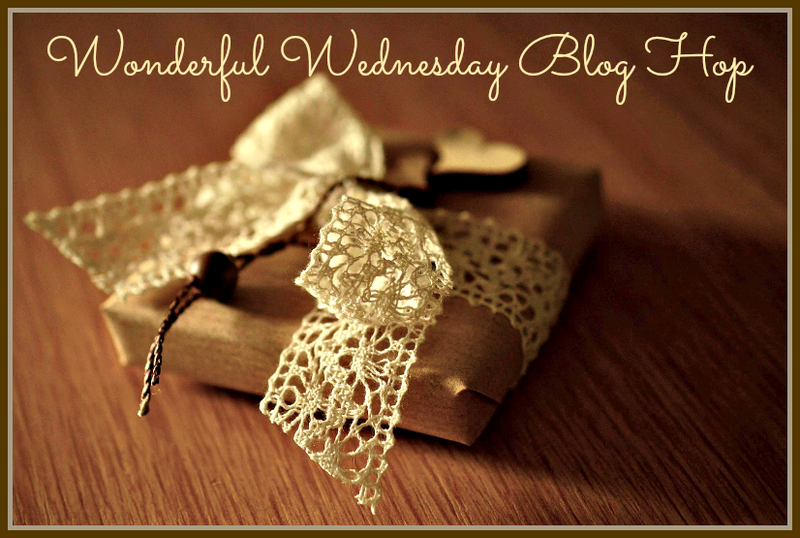 I hope you have a wonderful week! 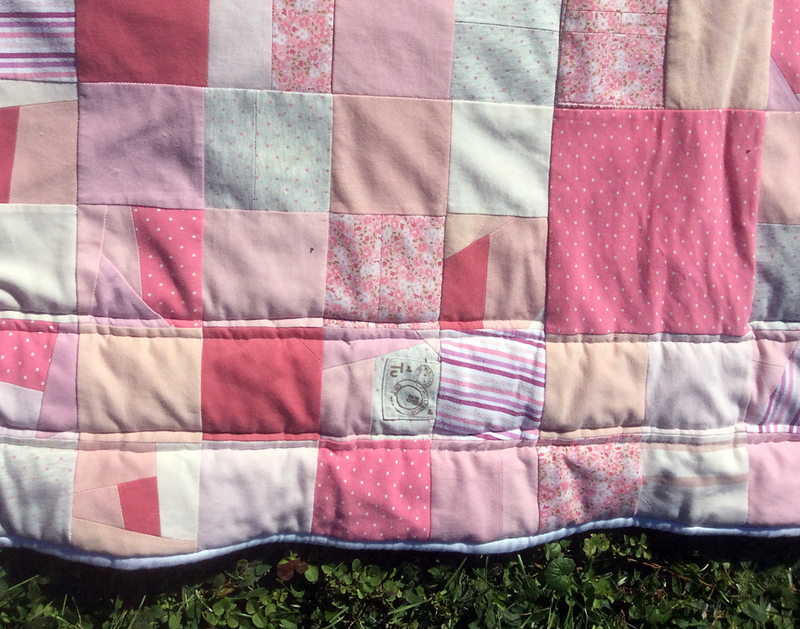 A fun quilt for a little one. Very resourceful to use a comforter for the batting and backing. Pretty, too - she's going to treasure it.